Open to the public from 17 to 19 March, the eleventh edition of March Meeting, Active Forms, will address issues of resistance through the consideration of organising as a primary act and condition for artistic and cultural production. Examining the relationship between familiar forms, such as projects, exhibitions and conferences, and the informal activity from which these emerge, MM 2018 explores how organising enables us to conceptualise resistance as not only a practice of ‘standing against’ but also one of ongoing exchange and future planning. Further, MM 2018 will reassess notions of authorship and agency through the lens of art, writing, film, music, performance and architecture, which can inspire new ways of catalysing thoughts and actions. The 2018 edition of March Meeting will present a wide range of programming and feature artists, curators, cultural producers and representatives from major institutions. A number of performances will take place throughout MM 2018, beginning with the Sharjah debut of Wael Shawky’s large-scale musical and theatrical performance The Song of Roland: The Arabic Version (2017) on 16 and 17 March. Based on the French epic poem La Chanson de Roland, the work was co-produced by Sharjah Art Foundation and premiered in 2017 at the Theater der Welt Festival in Hamburg, Germany, before touring internationally. Experimental composer and musician Neo Muyanga will present two performances as part of the MM 2018 programme. To be performed on 18 March, Naham–Songs of Light and Weight will be the culmination of a week-long workshop, which will assemble a multilingual chorus to explore ‘hidden voices’ and expressions of hope, fear and longing. The following evening, Muyanga will present tsohle–revolting mass (2017). Performed by four singers and a conducting pianist, this work highlights the complexities of contemporary life in South Africa. In addition to the programme of talks, panel discussions and performances, the 2018 edition of March Meeting will include an exhibition of works from the Sharjah Art Foundation Collection, on view from 16 March to 16 June 2018. Expanding on the meeting’s key ideas, the exhibition will feature the work of artists John Akomfrah, Basma Alsharif, Halil Altindere, Bahar Behbahani, Hazem Harb, Gulnara Kasmalieva and Muratbek Djumaliev, Almagul Menlibayeva, Naeem Mohaiemen and Raeda Saadeh. The winners of this year’s Production Programme grant cycle will be announced on 16 March. Concurrent with MM 2018, five solo exhibitions, featuring works by Mona Saudi (7 March–7 June) and Anna Boghiguian, Latif Al Ani, Mohammed Ahmed Ibrahim and Zineb Sedira (16 March–16 June), will also be on view. March Meeting 2018 speakers and participants include John Akomfrah (artist), Mishaal Al Gergawi (Managing Director, Delma Institute), Hoor Al Qasimi (Director, Sharjah Art Foundation), Rasheed Araeen (artist), Marwa Arsanios (artist), Sarnath Banerjee (artist, graphic novelist and writer), Yaminay Chaudhri (Co-founder, Tentative Collective), Ali Cherri (artist), Manthia Diawara (filmmaker and professor at Tisch School of the Arts, New York University), Mona El Mousfy (Sharjah Architecture Triennial), Shilpa Gupta (artist), Dale Harding (artist), Salah Hassan (Goldwin Smith Professor and Director, Institute for Comparative Modernities, Cornell University), Mohammed Ahmed Ibrahim (artist), Saba Innab (artist), Eungie Joo (Curator of Contemporary Art, San Francisco Museum of Modern Art), Butheina Kazim (Co-founder, Cinema Akil), Antonio Vega Macotela (artist), Ahmed Mater (artist), Sally Mizrachi (Co-founder, lugar a dudas), Naeem Mohaiemen (artist), Hania Mroué (Founder and Director, Metropolis Art Cinema), Neo Muyanga (composer and musician), Zeynep Öz (curator), Sharmini Pereira (Founder and Director, Raking Leaves), Monira Qadiri (artist), Manuel de Rivero (Co-founder, Supersudaca), Abir Saksouk-Sasso (Architect, Public Works), Larissa Sansour (artist), Zineb Sedira (artist), Reem Shilleh (Co-founder, Subversive Films), Martine Syms (artist), Yoshiharu Tsukamoto (Co-founder, Atelier Bow-Wow), Alper Turan (Co-founder, DAS Art Project), Deepak Unnikrishnan (writer) and Mohanad Yacubi (Co-founder, Subversive Films). March Meeting 2018 and all Sharjah Art Foundation events are free and open to the public. For more information and to register to attend, click here. Sharjah Art Foundation is an advocate, catalyst and producer of contemporary art within the Emirate of Sharjah and the surrounding region, in dialogue with the international arts community. Under the leadership of founder Hoor Al Qasimi, a curator and artist, the foundation advances an experimental and wide-ranging programmatic model that supports the production and presentation of contemporary art, preserves and celebrates the distinct culture of the region and encourages a shared understanding of the transformational role of art. 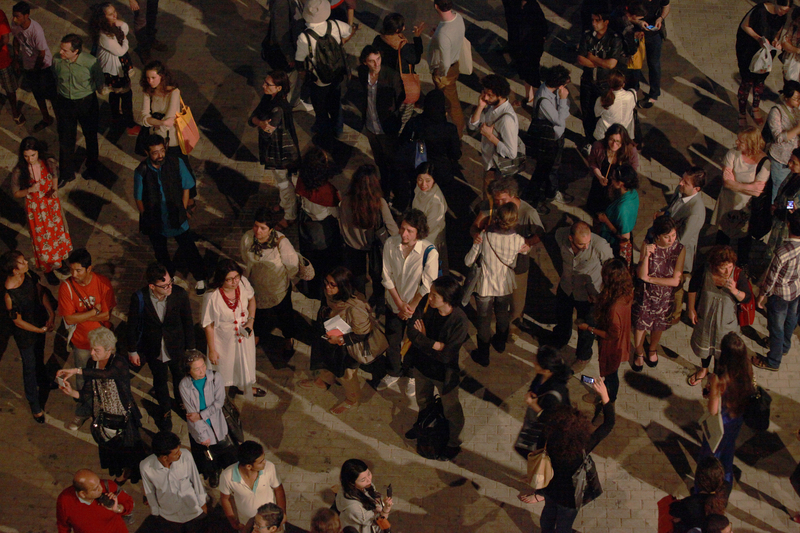 The foundation’s core initiatives include the long-running Sharjah Biennial, featuring contemporary artists from around the world; the annual March Meeting, a convening of international arts professionals and artists; grants and residencies for artists, curators and cultural producers; ambitious and experimentalcommissions and a range of travelling exhibitions and scholarly publications.